value to federal judges? « Hercules and the umpire. Tag Archives: value to federal judges? 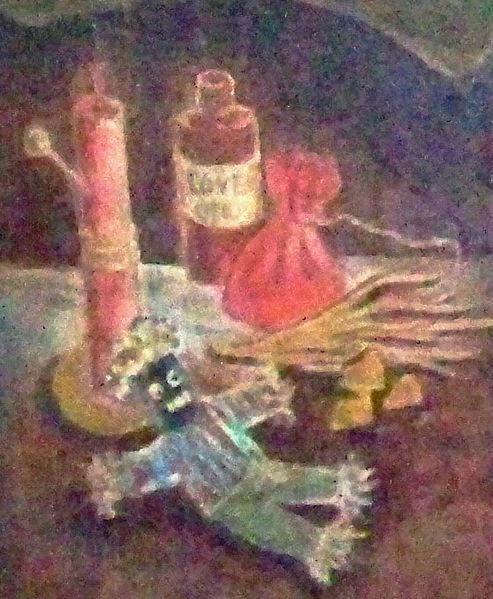 Image credit: Charles M. Gandolfo, pursuant to an authorization from the New Orleans Historic Voodoo Museum and Jerry Gandolfo by virtue of a Creative Commons Attribution-ShareAlike 3.0 Unported license. No changes were made to the image. When I was Chief Judge, I convinced our judges to take and exchange the results of the Myers-Briggs Type Indicator® (MBTI®) personality inventory. I don’t remember where I ended up, but if you think “fascist” you’d be about right. My idea was that if the judges each understood the personality types of the other judges that the Age of Aquarius would be ushered in just like the Fifth Dimension told us it would in 1969. It didn’t work exactly as I had planned. When we were discussing the results, I think that was the first time I heard STFU screamed aloud. Just kidding. The “test” is taken online and the taker is presented with 177 stimuli and he or she makes 177 responses–each item lists a pair of potential self-descriptors, such as “I like to help people.” See The Clifton StrengthsFinder® 2.0 Technical Report: Development and Validation (February, 2007). The descriptors are placed as if anchoring opposite poles of a continuum. From that pair, the respondent is asked to choose the statement that best describes him or her, and also the extent to which that chosen option is descriptive of him or her. The participant is given 20 seconds to respond to a given item before the system moves on to the next item. Gallup stresses that the “StrengthsFinder” is not designed or validated for use in employee selection or mental health screening (too bad). According to Gallup, feedback is provided to foster intrapersonal development. As a result, comparisons across profiles of individuals are discouraged by Gallup. So, how did I do? In order, my “strengths” were (1) input–one who is constantly collecting information or objects for future use; (2) learner–one who must constantly be challenged and learning new things to feel successful; (3) intellection–one who enjoys thinking and thought-provoking conversation often for its own sake, and also can compress complex concepts into simplified models; (4) achiever–one with a constant drive for accomplishing tasks; (5) analytical – one who requires data or proof to make sense of their circumstances. Are personality inventories like the MBTI® and the Clifton StrengthsFinder® more like voodoo than science? If personality inventories such as these have value, what, if any, value do they have for federal judges individually or in the management of their courts?